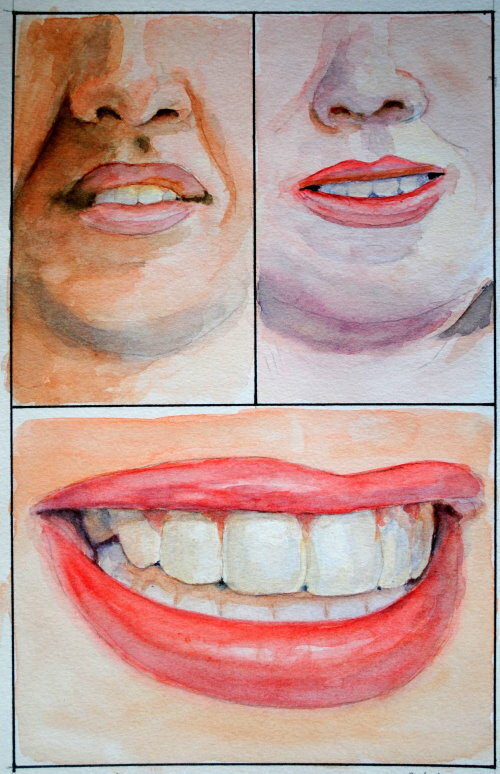 Many artists are afraid to tackle the painting of a portrait in watercolours. 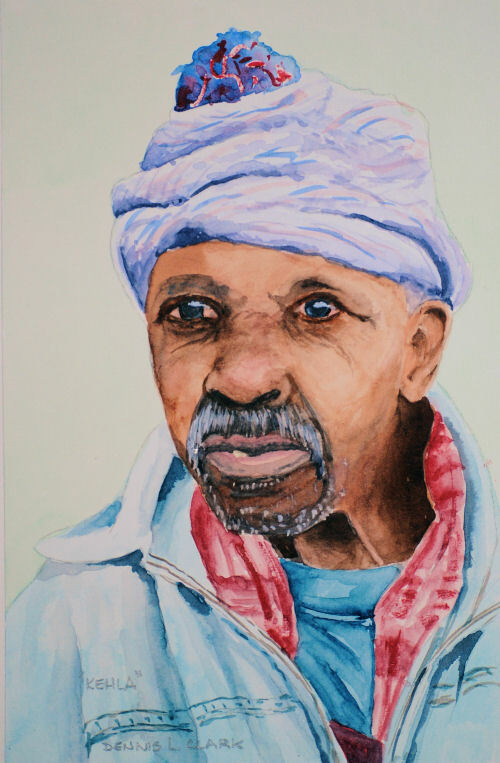 To get a likeness of a person drawing is a must and secondly they have heard that once a mistake has been made in watercolours it cannot be rectified. 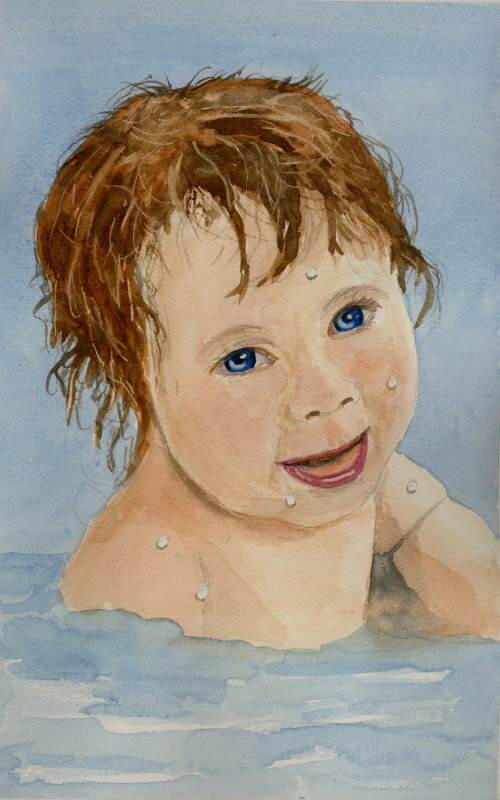 Follow me as together we explore just how to paint realistic portraits in watercolours. We will start with easy steps – small sections at a time – until we eventually put them together into a full portrait. 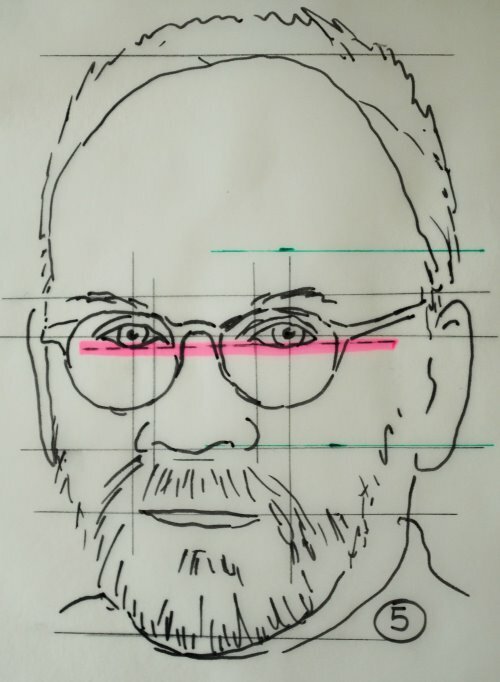 In this lesson we will look at the basic make-up of the portrait and how everything fits together and an easy way to get the proportions as correct as possible. This is the foundation of any portrait painting so getting this theory under our belt right at the start will help us every step of the way. It is said that the eye is the window to the soul. Just witness the various expressions exhibited by the people around you. See how the shape, look, glisten and other features change with joy, anger, sadness, surprise, etc. It also portrays the character of the individual. For this reason it is very important to master this important feature of the face. Dennis will demonstrate the various “secrets” that divide the amateur from the professional. 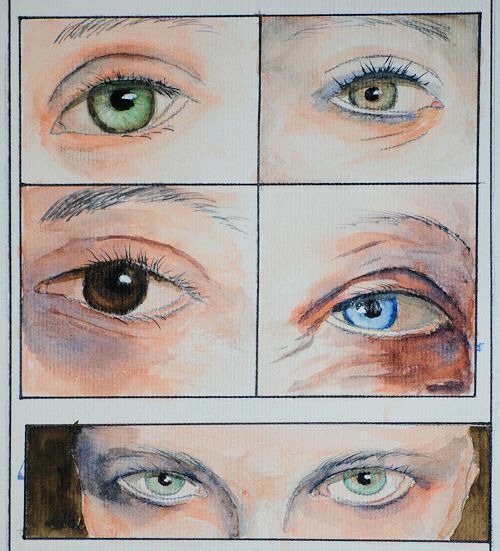 What is the difference(s) between a “dead” eye and an “alive” eye? All the secrets are revealed in this lesson. 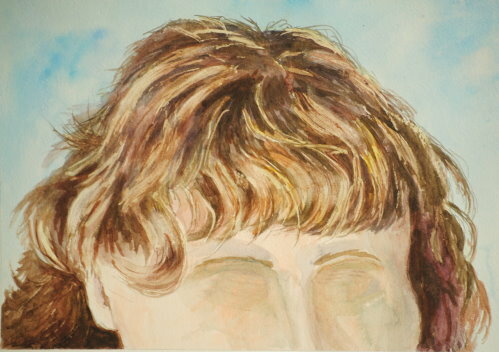 Do we paint hair with the absolute minimum of detail or do we go the the other extreme of absolute detail. Which is the best or do we go another route? Come and join Dennis as he shows you how. 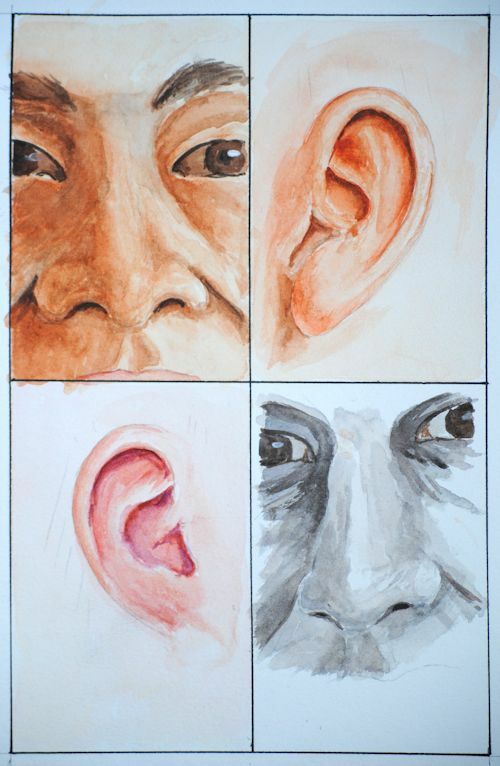 In this module you will learn how to paint realistic ears as well as noses. You will learn how they are constructed as well as shaded. This is another struggle area for many artists, especially with the teeth. Just how do we get them to look like teeth and not like a row of white squares of various sizes? One secret? White is not white! What are the others? Join the class and find out. This is where the excitement begins – we put all our knowledge together to paint a complete adult portrait. Painting very young children needs a different approach than that of an adult. Dennis will point out the differences before going over to the final demonstration. 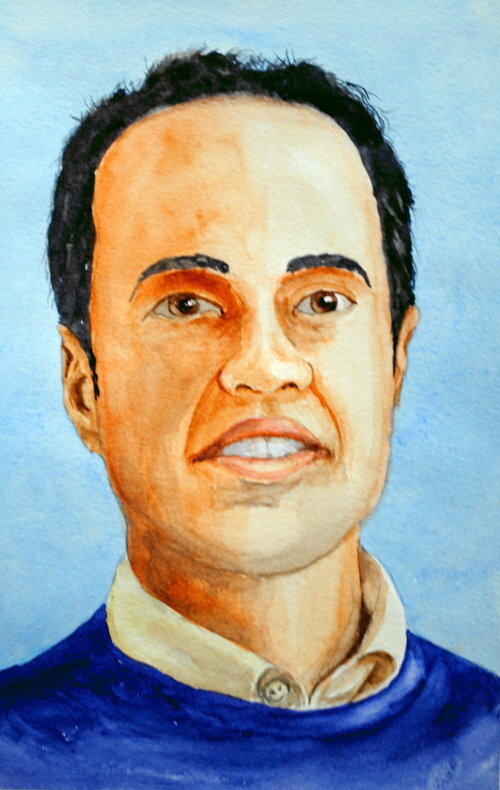 We complete the course – and our knowledge of portrait painting – by learning how to deal with different skin tones. 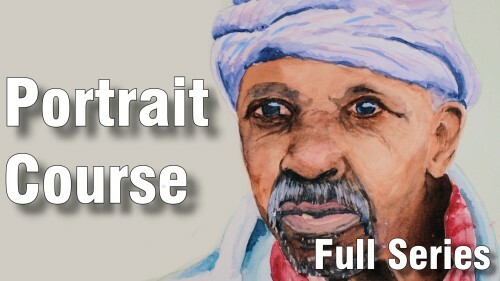 By the end of this portrait study you will have the knowledge and ability to paint any portrait you want. Join me on the course today. When you join the course, all the module instantly unlock and there is no time limit on the course. You can follow along at a pace that suits you and watch and re-watch the lessons as often as you like.